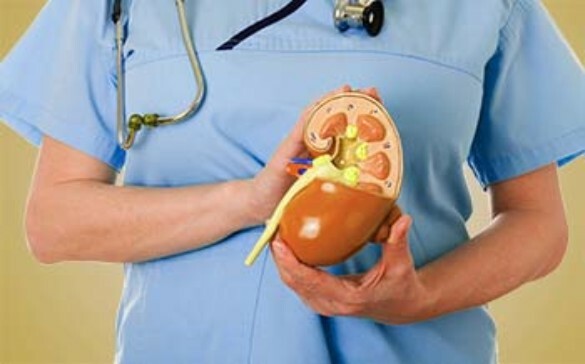 Nephrotic syndrome can be defined as a kidney disorder that leads to the release of too much protein in the urine (a condition known as Proteinuria). When there is a damage on the blood vessels within the kidney, which filters water and waste, it can eventually lead to nephrotic syndrome. The disorder can cause swelling of the feet and ankles with other health complications. In treating nephrotic syndrome in adults and children, it is important to first of all treat the underlying health issues that causes it. Since nephrotic syndrome can lead to other health complications, it is important to commence treatment as soon as one is diagnosed of having the disease. Just like I stated earlier, a damage to the blood vessels which filters water and waste, is one of the cause of nephrotic syndrome. When the vessels are healthy an d in normal state, they maintain the appropriate amount of protein in the body and expel the excess. But when they are damaged, too much protein is been released and they passes out of the body through the urine. Minimal change disease is the most common cause of nephrotic syndrome in children, which result in abnormal kidney function. In this situation, the kidney tissue under the microscope appears normal despite the presenting symptoms of the condition. This produces scattered scarring of the part of the kidney system called glomeruli. This condition can arise as a result of another disease, a genetic defect, or a totally unknown cause. The exact cause of this disease is yet unknown, but the disorder results in the thickening of membranes within the glomeruli. However, it can be traced to other medical conditions like malaria, hepatitis B, lupus, and cancer. Long-term diabetes can actually result to kidney damage, especially when the condition is poorly managed. This condition is called "Diabetic nephropathy". This is a chronic inflammatory condition that can cause serious kidney damage with time. This disorder is as a result of the accumulation of amyloid proteins in the organs. When amyloidosis occurs, it can cause harm on your kidney's ability to filter blood. A blockage in any of the vein that is connected to the kidney can eventually cause nephrotic syndrome. Nephrotic syndrome can also arise as a result of certain forms of heart failure, such as constrictive pericarditis and sever night heart failure. The complications of nephrotic syndrome include; high cholesterol, blood clots, poor nutrition, chronic kidney disease, and increased risk of infections. This is a condition where the thyroid gland does not produce sufficient thyroid hormones to regulate bodily process. This is a condition where there are fewer or smaller red blood cells in an individual. The red blood cells carry oxygen (in the form of Oxyhaemoglobin) to be used by different tissues and organs, including the kidney. If they are little or unable to accomplish the task, cell damage is like to occur. This condition occurs as a result of the narrowing of the blood vessels of the heart, and it can lead to kidney problems from decreased perfusion of blood. This is a situation where blood flows with greater force than normal. This increased force of blood flow can be unfriendly to the kidneys. An acute or sudden loss of kidney function can lead to nephrotic syndrome. A urine test will reveal any abnormalities found in the urine, including the presence of protein. A blood test on the other hand will reveal low levels of protein and high levels of cholesterol, while a kidney biopsy involves taking a small tissue sample from the kidney and test it. A lab urinalysis result can provide important information about the contents of the urine, such as high levels of protein. A urine dipstick test will be carried out, which gives your doctor an instant information about the condition of your kidney. A urine dipstick is a chemically treated paper strip which changes colour according to certain concentrations in the urine. The most accurate, diagnostic test for nephortic syndrome is a 24 hour urine sample test. It involves the collection of all of the patient's urine within 24 hours period, and sent to the laboratory for analysis. Most of the time, the ratio of albumin to creatinine can be estimated from a single sample instead of the more accurate 24 hour urine sample test. The aim is to maintain the blood pressure to be at normal pressure of 130/80 mmHg, in order to prevent kidney damage. The most commonly used medications for treating hypertension known for having a protective effect on the kidneys are Angiotensin-converting Enzymes (ACE) inhibitors. Diuretics help to increase blood pressure. By increasing urine output, they also help to control swelling. The commonly used water pills you will find today include furosemide (Lasix) and spironolactone (Aldactone). 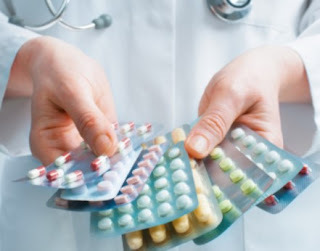 Though it is currently not clear if cholesterol-lowering medication can improve the health conditions of those suffering from nephrotic syndrome, having a normal cholesterol level can sure benefit your overall health. A common class of this medications is called statins. Blood thinners are drugs that helps to reduce the risk of blood clot. They are also known as anticoagulant medication. These medications helps in controlling the inflammation that accompanies certain kidney disorders, such as minimal change disease. Once you are being diagnosed of neprhotic syndrome, it is important you change your diet because unhealthy eating can cause further damage to your kidneys. For a start, you should choose leaner source of animal protein or even plant-based protein, which does not lay much tax on the kidneys. It is also advisable for you to reduce the amount of fat and cholesterol in your diet. This is to control cholesterol levels and reduce the risk of heart disease, which can worsen nephrotic syndrome. Lastly, you should limit your salt intake, this is to minimize swelling. Knowing the right foods to eat and the ones to avoid can help with the overall treatment of neprhotic syndrome. Since the disorder results in high amount of protein in the urine (proteinuria), swelling, decreased albumin levels, and abnormal levels of fats and lipids in the body, a healthy diet that fights all of these symptoms can help in protecting your kidneys. Generally, a neprhotic syndrome diet is low in salt, fat and cholesterol. Eating more fruits and vegetables is also highly recommended. Foods that are considered as natural diuretics that helps is reducing swelling include; white gourd, mung bean, watermelon, tomato, agaric, Laminaria japonica, celery, and many other fruits and vegetables. Consuming high quality protein in low to moderate amounts is also recommended. Good sources of protein include; egg whites. milk, and fish. Supplements like calcium and vitamin C may also be required due to teh effects of nephrotic syndrome. In conclusion, it is recommended you avoid foods high in protein and salts, excess water, spicy foods, alcohol and coffee. You should adhere to the instructions laid out by your doctor because additional nutritional advice for a neprhotic syndrome diet may be patient specific. Kindly use the share button below to send the information to your friends on various social media.